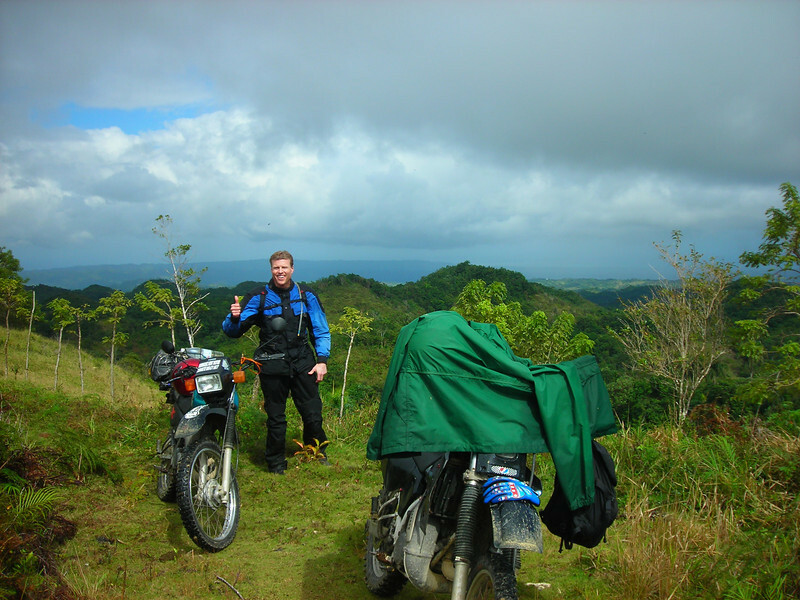 Cavebiker & Hipster, MEGA Dominican Republic Motorcycle Adventure. All right! 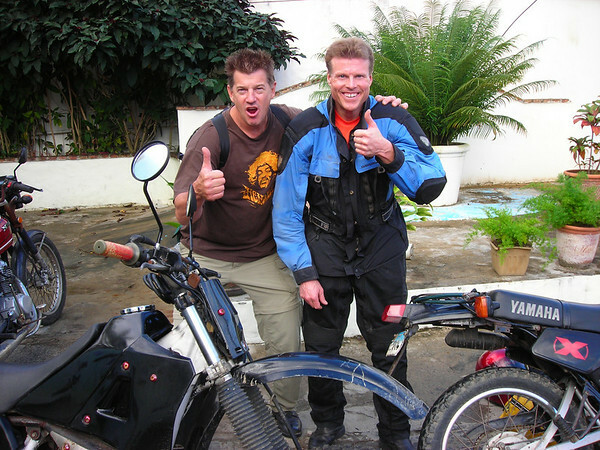 I researched rental motorcycles for when my friend Tom Coulter comes to visit, Tom is known as Hipster on the internet and is an Adventure Motorcycle dude. I made sure that Tom has his pick of bikes. 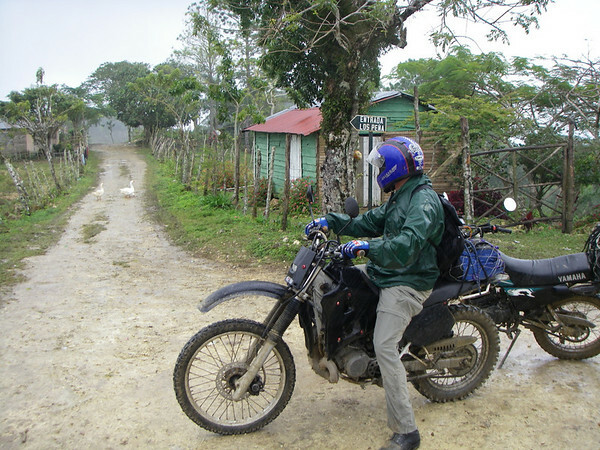 The same day he lands on the island we walk past a rental shop on main street Cabarete and there sits a Yamaha DT125 enduro. Super. We look at the bike. I look at the rear sprocket first to determine the wear and tear on the bike. It looks in good shape to me. Hipster looks at the tires. They are worn, but he thinks they are good enough, especially for the price, $20 a day. He knows about the Honda XL650 and the Suzuki DR650 with new tires at another shop but they are renting for $40 and $45 a day. Hipster arranges to rent the bike at 8:00 Am the next morning. The next day we wait for the guy to show up with the bike. 9:00 AM the guy shows up. I suggest to Hipster to take a test spin first. Back from his test ride he talks about the front steering column being loose and the rim seems to be out of round. He wants me to take it for a test but I refused and said “It’s your bike man. If you don’t like it we have lots of other bikes to choose from” Now, anyone who knows Hipster knows he is not exactly a big spender. He decides to go with the $20 DT125, loose steering column, bent rim and all. No doubt, this could add to the fun. Hipster hands over his passport and the full payment for 8 days rental in cash to the rental guy, then hands over his credit card for the $1,100 security deposit. Everything seemed copasetic. Tommy is on the bike and ready to roll. I take off on foot back to the condo after telling Hipster “I will see you in a minute back at the condo” A minute passed, three minutes pass, ten minutes. I drop my stuff and begin walking back to where I last saw the him. Hipster shows up a few minutes later and we are ready to roll. Oh Yeah! Of course Tom’s bike has no rearview mirrors (what do you expect for $20). I suggest we stop at a shop outside of town and buy a pair. I tell Hipster that it will only cost him two hundred. His eyebrows raise. I tell him that’s about $5.75. He gets the mirrors. My neighbor was there waiting for some work on his bike. He has an old Honda 750, four-cylinder. It is a nice bike with a new paint job. 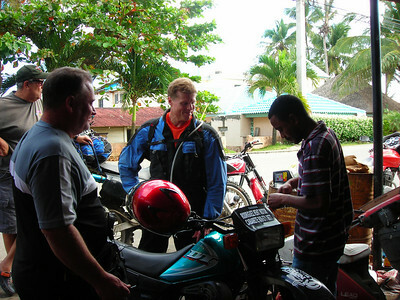 He thinks we are nuts to ride where we are planning to ride and tells a horror story robbery and murder. I agree and say “It’s dangerous everywhere, isn’t it” I grin. Tom gives me a look. The trail starts out steep, wet and muddy. Perfect. 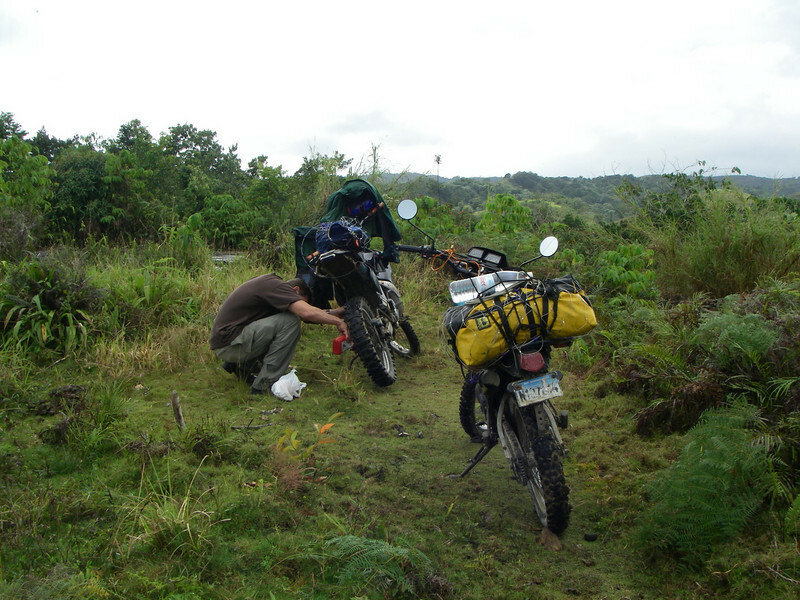 Half an hour down the trail, I discover a good spot to oil our chains and take a break. I am a freak about oiling my chain and Hipster is all over that too. We take care of our machines, they will take care of us, we hope. The rain stops and all is good. 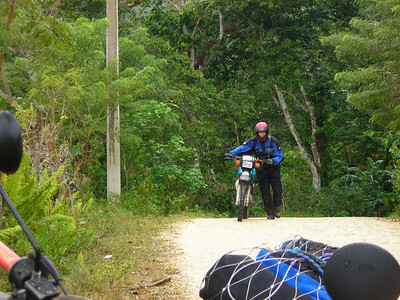 The trail is way cool, a type of tropical rainforest with a small farm or primitive home every few miles or so. An hour later, we arrive at a small village and a ‘T’ in the trail. My map shows the village but does not show the ‘T’. There is no one around to ask directions so we take our best guess, left. 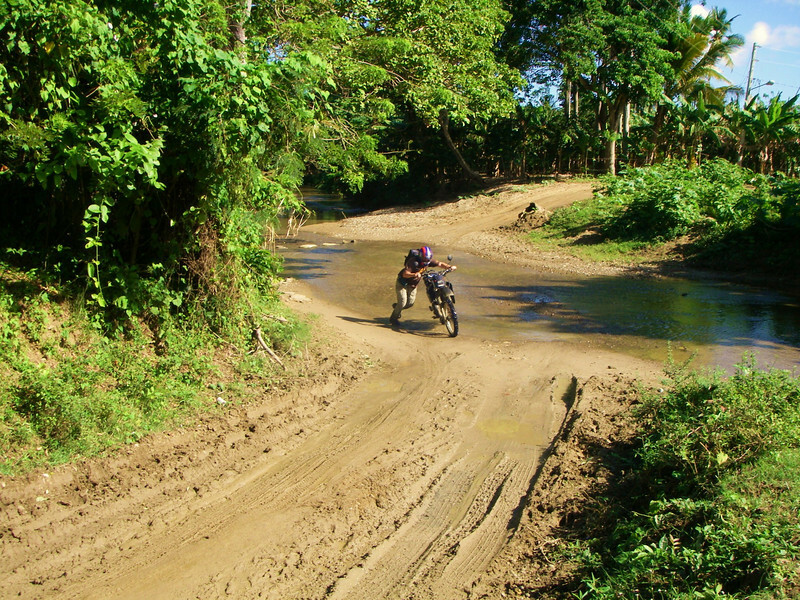 The trail improves to hard pack but is still steep with a few water crossings. I loss sight of Hipster in my rearview mirror, I pull over and wait. I am just past a large military tent. A minute later, I see Tommy pushing his bike. This is not a good sign. We have not even been on the road a half a day yet. Instantly two military guys jump out and start marching toward us. Oh crap! I explain our situation the best I could in Spanish. All these guys want to do was help. One guy wants to look at Hipster’s injector oil level. Hipster could not get the oil cover off with his key so the military guy starts yanking on the cover attempting to just rip it off. I try to explain in Spanish that we just filled the oil and that should not be the problem. This trail is supposed to end at highway 25. It does not end, it just continued past the military tent and turns into a slowly improving road lined with homes. After several miles, I can sense us riding down the mountain into a valley. I know this isn’t right. I pull over and suggest to Tommy that we ride back to see if we missed anything, like a turnoff. We ride back until we see the military tent. There is no missed turnoff. We turn around again and continue down the mountain. I say to Tommy “We will just have to ride on and try to figure out where the hell we are” Tom is down for that. After riding down the mountain, we find ourselves in a larger city. After filling up at a gas station it starts raining again. 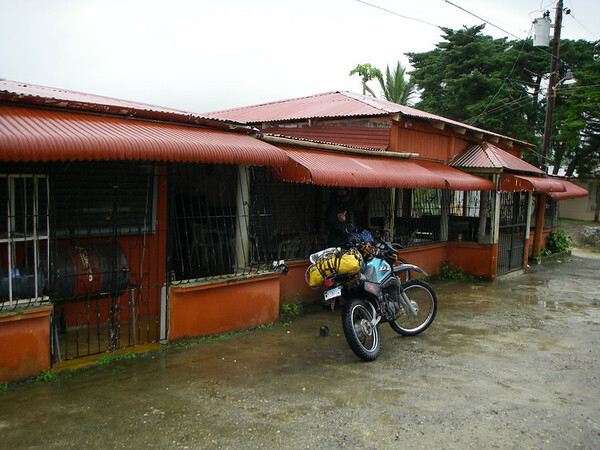 Someone pops out of an office of the gas station and suggests we pull our bikes under an awning. Great and how nice was that. We pull under the awning and I begin to look at the map. I ask someone standing around what the name of this city is. I cannot find the city on the map. Soon the guy from the office invites us inside and wants to help us. He tries super hard to speak English but was having a hard time of it. We tell him we want to get to Puerto Plata. He gives us directions, half in bad English, half in Spanish. The directions are not to my liking. He was directing us to go back through Cabarete. During his directions, he mentions that Santiago was down the road the opposite way he was telling us to go. ‘Super’ I thought. The rain stops. 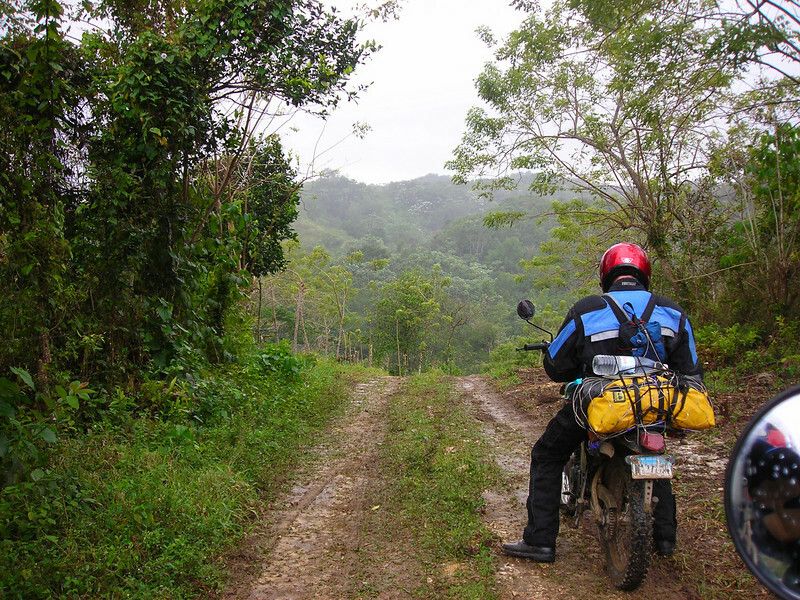 I inform Hipster the way I think we should go, to Santiago, to the main highway, the autopista and then on toward Puerto Plata. He agrees, we ride off. Soon we find ourselves riding through Santiago, the second largest city in the Dominican Republic, over three million people. Not an easy city to navigate through but I have been lost here before and found my way. The traffic is crazy but I am use to it. Hipster is a great rider and is fully informed on what riding in the DR is like and the importance to keeping your line while riding in heavy traffic. Tom handles it like a veteran. 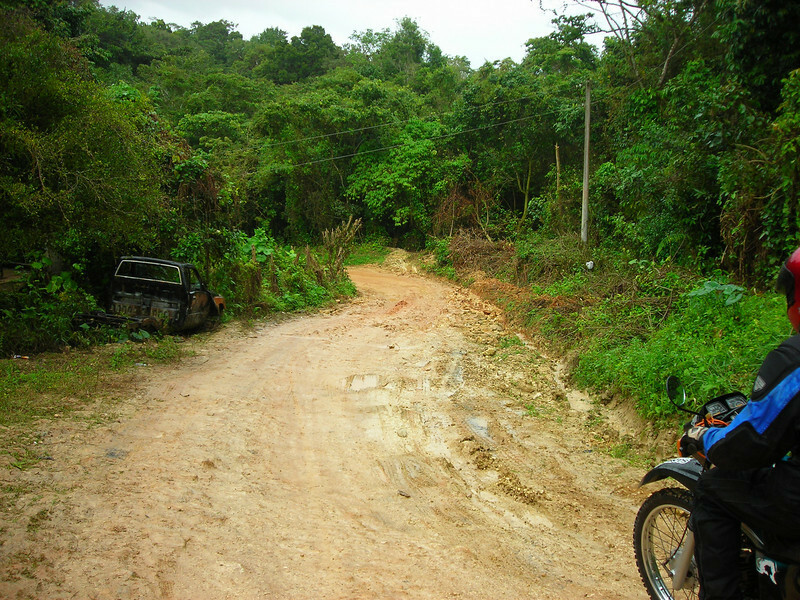 I pull over several times to confirm we were riding the correct way to get to the autopista. All is good. 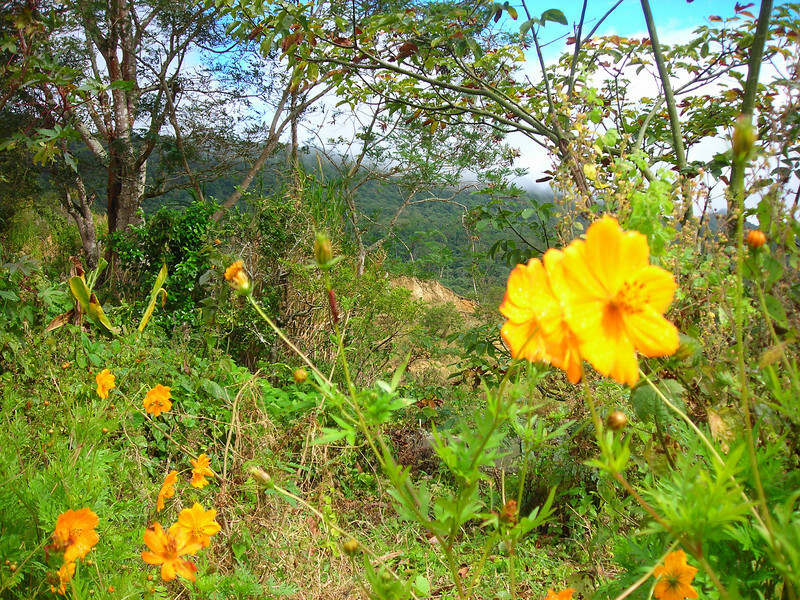 We hop on the autopista and head north toward Puerto Plata. It s getting late so we look for a hotel in smaller cities along the way. The hotels either had no parking or are the type of hotels that rented by the hour. We ride on. 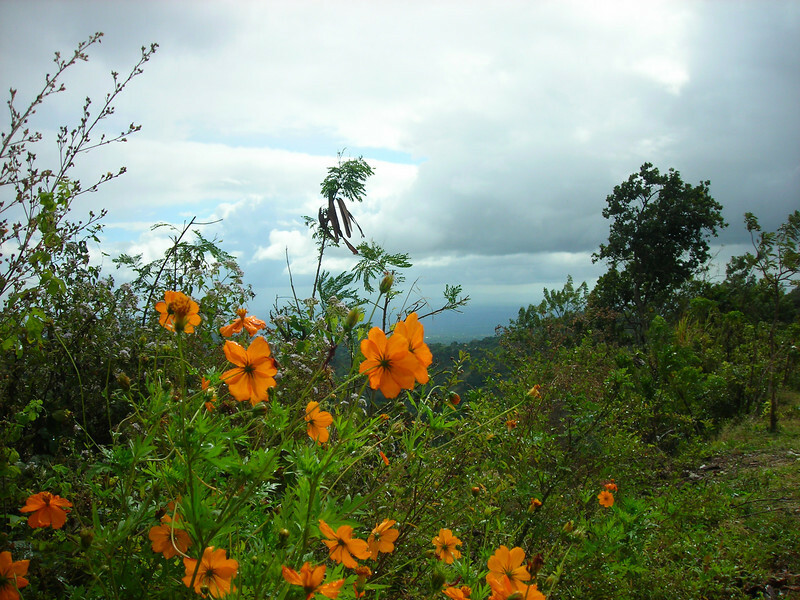 We make Puerto Plata just a half hour before dusk. I insisted on a beer sea-side along the malecon. Tommy wanted to get a place to stay first but I assure him the motels are just up the road. The night is hot and the beach Tiki bars had cold beer. 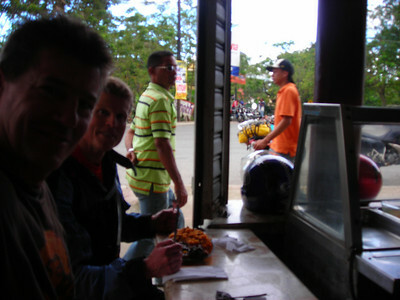 After, we eat some fun street food on the way to the motel, greasy burgers and hot dogs at their best, and purchased and eaten from a road-side cart in the Dominican republic, even better. We check into a hotel just outside of town. It is a nice place but a little expensive, around $45. Hipster got a kick out of the two condoms in the room and the transparent wall between the shower and the bedroom, and the guy outside of the hotel informing us about the disco next door and all the girls we can meet there. I assure Tommy that this is all normal in the DR and that “All The Girls” will LOVE you!